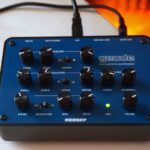 The Haken ContinuuMini offers the sound and level of expression of the Haken Continuum in a compact and affordable package. The core focus behind the Haken ContinuuMini and original Continuum are the incredibly sensitive play surface, designed to be able to seamlessly sweep between notes polyphonically. This makes for an incredibly expressive play-style, when you wobble your finger a vibrato effect will be applied, similar to what you would expect from a string instrument like a Guitar or Violin. The major difference between the Haken ContinuuMini and regular keyboards is you’re not limited by the individual keys in a chromatic scale, that means you can play varying pitches in-between the notes. Regular keyboards set a specific note and velocity value per note on/note off message while the Haken ContinuuMini can vary in pitch, velocity and various modulation settings depending on the pressure and placement of your fingers on the fingerboard. 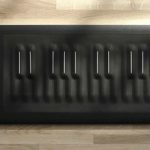 This means you do need to practice before making the most out of this instrument, however it also means that you will be able to get sounds far outside of the realm of traditional keyboards. 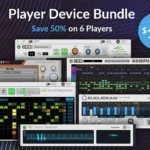 There is an iPad and computer app available that opens up various sound design capabilities that aren’t available as hands-on parameters on the Haken ContinuuMini. 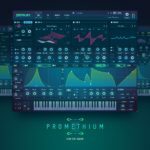 The engine inside the synth is designed specifically to take advantage of the expressive controller, with a host of presets for various traditional instruments as well as a variety of pads and ambient sounds. The actual synth engine inside the Haken ContinuuMini is DSP-based, with a host of different synthesis capabilities from subtractive to physical modelling. The controller itself is only capable of tracking up to two fingers however using an external keyboard or tricky patching, you have access to up to eight voices. 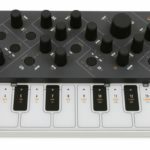 You can also use the Haken ContinuuMini as a MIDI controller for your DAW, although you may want to look into an MPE compatible plugin such as ROLI’s equator. The Haken ContinuuMini is currently on a Kick-starter campaign, however it’s been backed more than three times over! So, this is definitely happening! For more information, check out the campaign here. 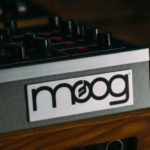 Is the new Moog One polyphonic synth worth the hefty price tag?